Dark undereye circles have been haunting women for decades. While the look is adorable on pandas, it’s not as cute on humans. They say eyes are the windows to a soul, and beautiful eyes can captivate just about anyone. Nobody wants dark circles to be an unsightly distraction to their beautiful eyes. 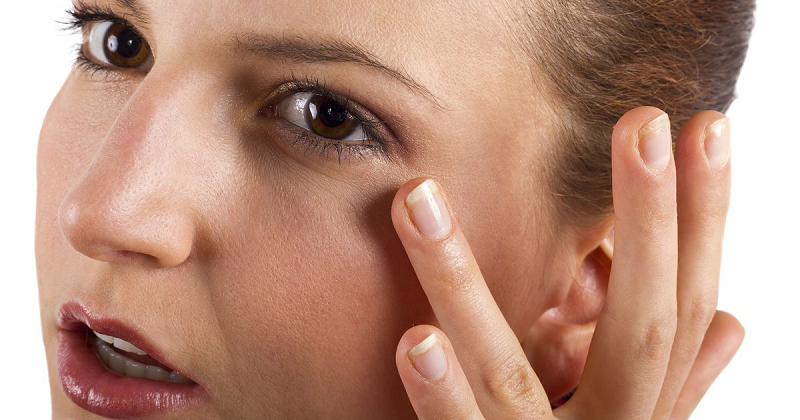 Most women scour the beauty aisles in hopes of finding the best treatment for dark circles. That’s because getting rid of them means looking healthier, younger, and more energized. With so many of us looking to rejuvenate our look, it’s no wonder the eye cream market is so vast. Our reviews will help you find the best eye creams for dark circles. There are many reasons as to why we get dark circles and while some are preventable, others aren’t. A common unpreventable reason is that dark circles are an inherited trait, and in these cases they can appear on children. Additionally, nasal congestion and eczema can cause dark circles. The most common (and feared) reason behind dark circles is that as we age, we lose some collagen and fat surrounding our eyes. This combined with thinning skin enhances the darkness under our eyes as we approach old age. There are also preventable reasons behind dark circles. The most common one is sleep deprivation, but interestingly enough, oversleeping can also cause dark circles to appear. People who drink, smoke and take in too much caffeine have more difficulty sleeping, thus causing shadowy under-eyes. Stress and too much exposure to the sun are also contributing factors. Eye creams are designed to help us get rid of the dark circles under our eyes and contain varying ingredients to do so. Most eye creams contain ingredients that can be used on the skin under the eye, which is far more delicate than the skin on the rest of the face. Still, some eye creams can be harsh and irritate the skin. To help effectively reduce dark circles under the eye, we have selected some of the best eye creams that have been clinically proven to lessen dark circles under the eye and safely moisturize the area. Now let's look at the reviews of the best eye creams for dark circles. There’s a reason why RoC Retinol Correxion Eye Cream Treatment is a best-selling product. It is clinically proven to be highly effective and contains a patented retinol formula, which went through a one year clinical study by the Johnson & Johnson Family of Consumer Company proving that the special retinol formula provides benefits with continued use. The moisturizers used in this treatment are designed specially for the sensitive skin around the eyes. Retinol, a pure form of Vitamin A, is proven to speed up the process of skin cell renewal which keeps the skin looking smoother, brighter and visibly reduces fine lines and wrinkles. To use this product, apply the cream in small dots around the eye and smooth it out gently until the formula has been thoroughly absorbed. Start by applying a small amount to your under eye every other day for two weeks. Work your way up with the application until you find the most effective routine for your skin. The manufacturer states that this product will smoothen the surface of your skin immediately. In four weeks, the dark circles and any puffiness around your eyes will be visibly reduced. In 12 weeks, the appearance of wrinkles and crow’s feet will be visibly reduced. Please note that the ingredients in this product are strong, so start by applying three small dots around your eyes every other day. Olay Eyes Ultimate Eye Cream is a 3-in-1 product for reducing dark circles, puffiness and wrinkles. The formula contains anti-aging ingredients that are packed with peptides and vitamins to help lock in moisture around the eyes and to speed up the skin renewal process. It is also lightweight, which is important for the sensitive skin under the eyes. Speeding up the skin cell renewal process is the best way to reduce dark circles under the eyes. Locking in moisture ensures that the area remains hydrated, which brightens it up and keeps the skin looking youthful instead of dry and flakey. This treatment also comes with Olay’s Color-Correcting Technology with concealer that matches all skin tones so you can apply it under your makeup to keep the area under your eye looking bright. Because the formula is lightweight, you can use it twice a day on clean skin and can put it underneath your makeup. To use it, massage the cream onto your skin until fully absorbed. This daily moisturizer was created specifically for the delicate skin around the eye. It contains moisturizing agents such as Shorea robusta butter and soy protein. Caffeine is another natural ingredient used in this formula to constrict the blood vessels around the eyes and reduce dark circles. The unique L’Oreal Pro-Retinol® formula helps the skin renew itself faster. The manufacturer states that the skin under the eyes will be smoother and firmer within four weeks of continual use. To use this product, apply small dots around around the eye and smoothen until the cream has been fully absorbed. Since this product is lightweight, it can be applied twice a day. Organyc’s Spark Eye Cream contains plant-based collagen strengthening ingredients such as soy and rice amino acids and yeast protein. Soy and yeast protein are proven to hydrate the skin and increase collagen, which keeps the skin looking youthful and reduces dark circles. Natural moisturizing agents such as glycolic acid keeps the skin hydrated. According to the manufacturer, results will begin to show 30 to 45 days after use. Because the ingredients are natural, there are no side-effects of irritation, allergies or itchy skin. They also offer a 100% refund if you don’t see results in 30 to 45 days. Garnier’s roll-on eye care and concealer formula contains ingredients such as Vitamin C and caffeine. Caffeine is clinically proven to constrict blood vessels when applied topically. This helps get rid of dark circles under the eye while Vitamin C has collagen-building aspects to keep that area firm. Because this product is also a concealer, it can instantly brighten up dark circles. To use this product, roll the applicator on underneath the eye. Please note that this is flammable until dry, so don’t use it near fire or a flame. Skin Medica’s Tns Eye Repair contains Vitamins A, C and E which are antioxidants that help protect the skin against aging and brightens up the area. Vitamin C stimulates collagen production to keep the skin looking youthful and healthy. The manufacturer states that this product is designed to moisturize the delicate area under the eye. To use, apply a thin layer under the eye in the evening. The first step to reducing dark circles is to maintain a healthy lifestyle. By getting enough sleep each night and by avoiding excessive caffeine and alcohol consumption, you can reduce the chances of getting dark circles. Using sunscreen if you’re outside often also prevents dark circles from appearing. By drinking plenty of water and eating foods rich in antioxidants, you can keep your skin hydrated and healthy. The next step is to continuously apply eye cream to the area. If you can start using eye cream early on before dark circles appear, results will be even better and your eyes will remain looking youthful as you age. While you are applying eye creams, make sure to still get enough sleep each night and keep a healthy diet. With most eye creams, you should see results after 30 days. While waiting for results to appear, invest in a good foundation. There are different formulas for acne-prone skin and sensitive skin. Which ingredients reduce dark circles? A common and very effective ingredient used in eye creams is retinol, a topical derivative of Vitamin A which stimulates collagen production and speeds up the process of skin cell renewal, fading most dark pigments. Good eye creams often contain brightening agents to reduce the appearance of dark circles. Most eye creams contain caffeine as an active ingredient as well. That is because applying caffeine under the eye constricts the blood vessels there, reducing puffiness and dark circles as well as tightening the skin. Moisturizers play an important role for our face and in the beauty world in general. Keeping the skin hydrated allows for a healthy, youthful appearance. Almost all good eye creams contain some form of moisturizing ingredient. What makes them different from regular moisturizers is that they are designed specifically for the area around our eyes. The skin under the eye is much thinner than the rest of the face, thus more sensitive. To find a good eye cream, look for common ingredients like retinol, brightening agents, caffeine and moisturizers. People who worry about dark circles and want to get rid of them can luckily do so with eye creams and healthy habits. While maintaining a good sleep schedule and healthy lifestyle helps diminish shadowy under-eyes, using effective eye creams on top of that will help speed up the process of removing dark circles. Luckily, we have compiled a list of top eye creams for dark circles so that you no longer have to scour beauty aisles in order to find the most effective cream. Most products that we recommended today not only brighten up the area under the eyes and help with dark circles, they also aid with tightening and firming the skin to reduce wrinkles and puffiness, and they moisturize the area. At the same time, why not keep yourself looking bright and youthful by taking care of your eyelashes as well? In conclusion, we hope that the tips and reviews given today will help you speedily reduce and remove dark circles. If you have more concerns about your eye area, take a look at our reviews on best eye creams for wrinkles.